“I was disappointed that tourists only saw Khayelitsha from behind glass, from their cars or from tour buses,” says owner of Kopanong B&B, Thope Lekau. 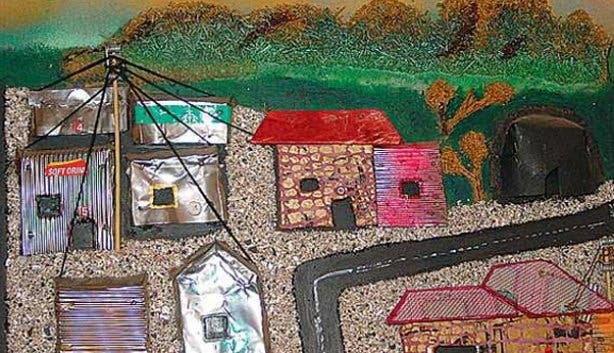 Instead, Cape Town’s township B&B’s invite you into their homes. Experience real township buzz and interact with the community. Established in 1927, Langa is the oldest township in Cape Town and has produced prominent sports and entertainment figures including the late musician Brenda Fassie and boxer Nika Khumalo. Many of the original features of this family home have been kept intact, with space for four people in two spacious rooms. “We serve a traditional African breakfast of mielie meal, tomato and onion stew and, of course, homemade bread,” says owner, Thandiwe. Why you should stay here: to be part of a family, sharing supper, breakfast and conversation. What’s close by: Langa train station, post office, police station, taxi rank and information centre. What guests are offered:township tours (including a visit to a traditional healer) as well as a visit to the Langa Baptist Church. 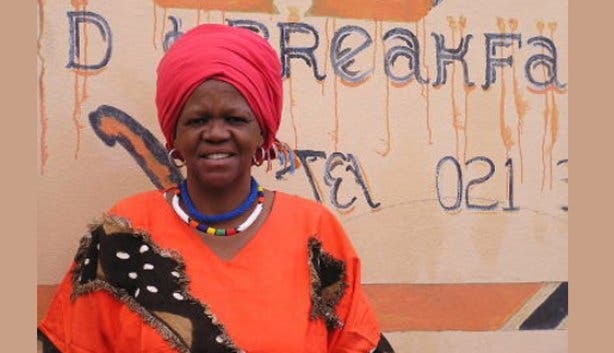 Minah Radebe’s guesthouse and coffee shack offers three, themed bedrooms: respectively Equnu, Kwandebele and Kwamashu (names of South African homelands). The guesthouse serves continental or African breakfasts; lunch and dinner are also available. Why you should stay here: “to come and meet the real people of Langa and walk our streets,” says Minah. What’s close by: views of the University of Cape Town, Rhode’s Memorial and Lion’s Head. What guests are offered:“on our walking tours, you can play soccer with local children or a vibrant, Sunday church service,” says Minah. Gugulethu was established in the 1960s, due to the overcrowding of Langa. Go see the Amy Biehl memorial, a reminder of the tragic stabbing of the American Fullbright scholar in 1993, also worth a visit is the Gugulethu Seven memorial, which commemorates seven young black activists from the township who lost their lives fighting for freedom in 1986. Nowdays, you’ll encounter new developments including Mzoli’s restaurant and the Gugulethu Sports Complex. Life is flourishing. The modern township home offers four beautiful rooms including Ekuphumleni, meaning ‘a place of resting’ and Entle, meaning ‘beautiful’ in Xhosa. 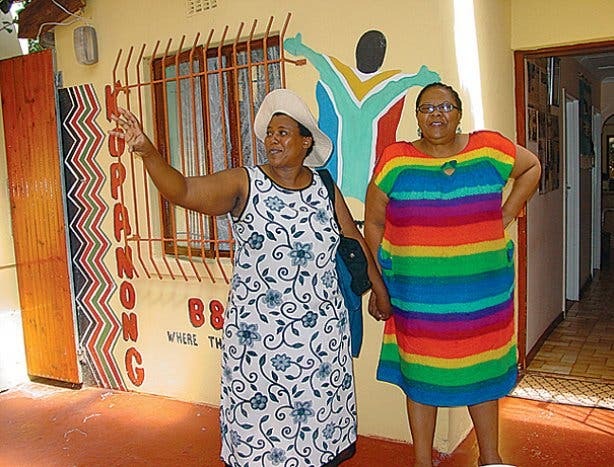 Why you should stay here: “our ethnic guesthouse, combined with traditional and healthy African food, is a place where African cultures may meet,” says owner, Florence Bhunu. What’s close by:the Amy Biehl Memorial and the Gugulethu Seven Memorial. What guests are offered:a choice between B&B and full board, catering and hosting of house and garden parties, as well as township tours (with accredited tour operators). Large groups can rent out a self-catering cottage, with tasteful African décor, and reserve the restaurant for an authentic, South African feast. Why you should stay there: “the most distinguishing aspect of our stay was the level of customer service. The staff was attentive, responsive and willing to go the extra mile to make sure that everything we needed was available to us,” says guest, Lou Bergholtz, from Boston, America. What’s close by: Mzoli’s restaurant. 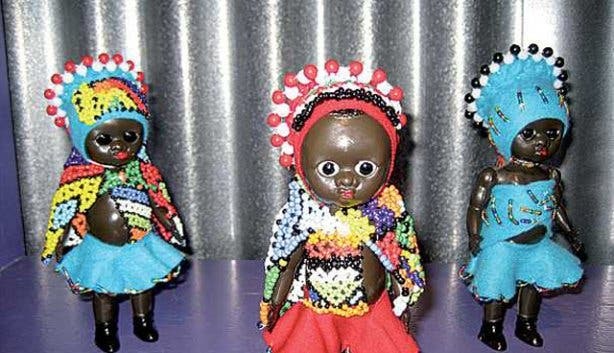 What guests are offered:Walking township tours include visits to Mzolis and a sangoma, as well as a ride in a local taxi. Khayelitsha is the largest and the fastest growing township in South Africa. There have been many developments including brick houses, schools and a central business district, but around 70% of residents still live in shacks. As you enter from the gate, the pathway is clean, the kitchen is hygienic and the beds are comfortable. Why you should stay there: you can enjoy a nutritious breakfast of fruit, yoghurt and hot porridge on the covered terrace, while discussing Africa’s history and hopes for the future with registered tour guides, Thope and Mpho Lekau. What’s close by: Lookout Hill offers a bird’s-eye view of Khayelitsha. Not only is Lydia Masoleng fluent in English, Xhosa, Sotho and Afrikaans, but she sure knows how to cook. “It’s a Xhosa tradition to learn to cook before you get married,” she says, “I recommend Umfino – spinach with maize meal and chakalaka – washed down with my homebrewed, ginger beer.” After a filling meal, snooze in one of five guest rooms. Why you should stay there:a firsthand experience of township culture and Xhosa cooking. 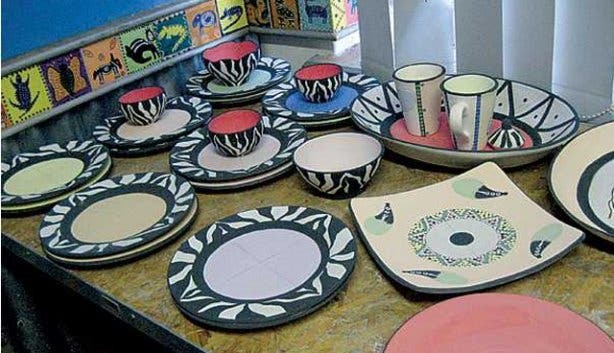 What guests are offered:“we offer walking tours, visiting local shebeens (pubs), and arts and craft centres,” says Lydia. Visit our townships section and check out this event in Gugulethu.